The agency announced earlier this week on its website that it was extending by six months a ban on five chemicals used to make fake pot, which have been sold at retail outlets and head shops. The ban, under the DEA’s emergency scheduling authority, makes it illegal to possess or or sell the products. The initial temporary ban began a year ago. 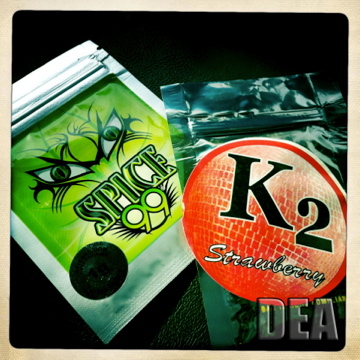 The DEA is moving toward making the ban permanent. The DEA said the smokeable herbal products marketed as being “legal” have become increasingly popular, particularly among teens and young adults. The DEA said the products consist of plant material that has been coated with research chemicals that claim to mimic THC, the active ingredient in marijuana. The DEA said it has received an increased number of reports from poison control centers, hospitals and law enforcement regarding these products since 2009. Posted: 3/2/12 at 9:33 AM under News Story.